Vovio is a new blogging platform from Joe Crescenzi, the founder of CouponPages and CouponMail. There are several hundred sites in the Vovio Network and more on the way every day. The longer answer is that Vovio is the common foundation for a whole bunch of websites in a variety of subjects. While Vovio is in it's early stages, the only person posting on the Vovio Network is Joe Crescenzi, but soon the platform will be open for other people to post. As new sites roll out, a single Vovio account will give you access to posting on every site in the Vovio network of sites. The first major site to roll out is IdeaOfTheDay.Com... a blog that features one new idea each day. Was this the site you were looking for? Something new is in the works. I'm Joe Crescenzi, founder of CouponPages.Com, one of the oldest and largest local coupon sites, and I want to introduce you to my newest creation... it's something just for fun and it's called Vovio. 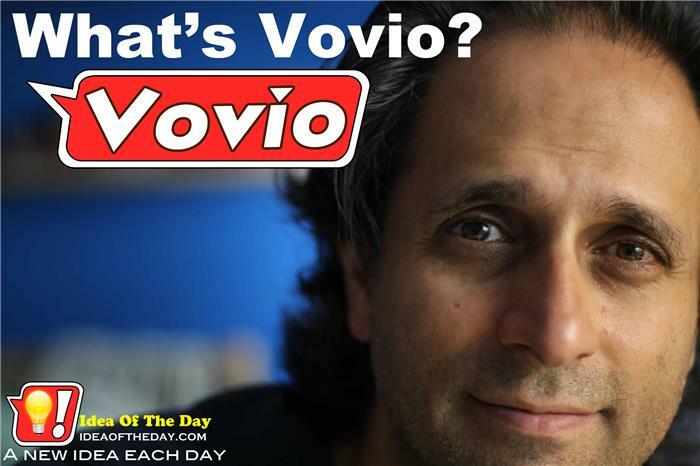 Vovio is a network of fun sites that all share two things in common. 1. They are all for fun. Although we may recommend, review or even encourage you to buy things we like from time to time, that's not why I created it. 2. Although there will be a lot of different sites, they all let you interact, comment and share your thoughts with other members using a just one ID and password. There will even be a way to post without creating an account. This site was created by Joe Crescenzi, founder of CouponPages.Com, one of the oldest and largest local coupon sites. This site is just one part in a network of sites called the Vovio Network. Unlike CouponPages, Vovio sites are just for fun, not to sell anything in particular. Just good clean fun. Progress report ... Day 3, still works! Why did I create "Vovio" instead of using WordPress? Thanks for visiting... Ya'll come back again... Ya hear? I'm very proud of Vovio, to see it in action, visit Idea Of The Day (.com) to see the potential as a great blogging platform. Now that you've seen, well, nothing in particular, let's not be strangers... come back again when the new stuff is finally in place. What kinds of stuff? Well, to be honest, I'm a computer geek. I wrote the software to do all sorts of fun stuff, but I designed it specifically so that everyone can start sharing tons of cool things here. Photos and videos of cute / funny Cats... Dogs... or other pets. Coupons (We can't leave them out... after all, this was created by Joe Crescenzi, the Founder of CouponPages). Vines (short videos that we can''''t help viewing over and over). Lists... top tens, best-of's... worst-of's... etc. We've got local coupons in over 700 cities... and growing.